WHAT DOES THE FUTURE HOLD FOR FULFILLMENT? IS MORE FLEXIBLE AND DIGITAL. With 41% of consumers using two or more channels during the purchase process, achieving flawless fulfillment has become more of a challenge than ever. To keep up with omnichannel demands, supply chain roles are blurring and encouraging collaboration, and manual processes are phasing out. How will this impact the future of logistics? 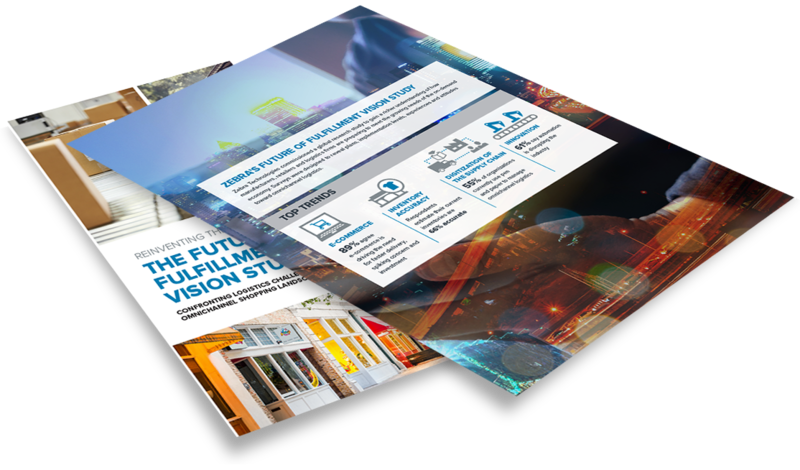 Complete the form to gain instant access to Reinventing the Supply Chain: The Future of Fulfillment Vision Study results. © 2019 Zebra Technologies Corp. and/or its affiliates. All rights reserved. Zebra and the stylized Zebra head are trademarks of Zebra Technologies Corp., registered in many jurisdictions worldwide. All other trademarks are the property of their respective owners.